Hello! This is MUTZINE's Founder and Editor, Gissella. Contrary to popular belief, my home base is in New Jersey. 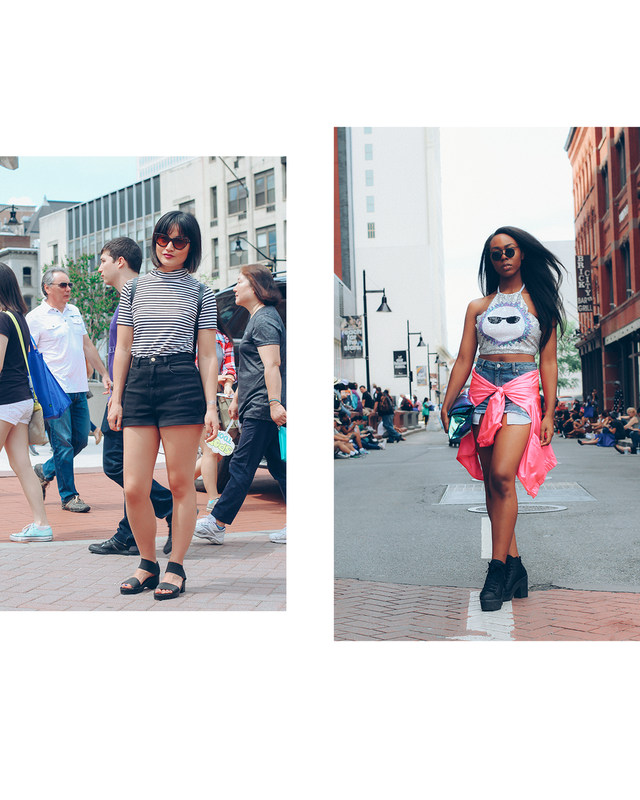 I attended KCON NY last weekend, armed with a DSLR, a 50mm lens, and the intent to capture some street style. I never actually took street fashion photos before, but after interviewing a few photographers like Teni Bakare, Chad Burton, Aaron Park, and receiving submissions from Elizabeth Royal, I've been inspired to try it too. KCON NY's daytime schedule of events were set up more like a block-party than a convention. There were food stalls, carnival games, and even a pop-up dj booth in addition to the tents that hosted the panels and workshops. The bright and sunny weather lent itself to the outdoor gathering. The first person that I photographed was a girl sporting an outfit based on SHINee's Married to the Music concept. I liked how she put together an outfit that was the perfect union between street and cosplay.